on 11 - 13 October, in Chicago, US. Hosting the booth number 207 at the expo ground, we are delighted to invite you to come over. 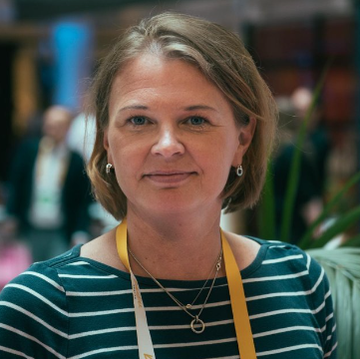 ​Anna-Maria Henell, Disior CEO, is there to share the latest advancements in image analysis technology with you. Our unique method automatically measures, models and simulates the behavior of tissue structures in CT- and MRI-images. ​Anna-Maria will walk you through the research and co-operation possibilities of automated mathematical modelling and simulations. Our software brings you fast, accurate and reproducible orbital blow-out fracture analysis. It is based on research at the Helsinki University Hospital, and decades of algorithm development know-how in virtual modelling and optimization. View a demo video here - Disior Orbita, software for orbital fracture analysis. ​We Support a variety of future technologies, and want to give you the opportunity to explore them by yourself. 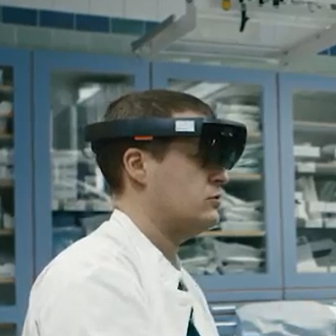 For Mixed Reality, try on the Microsoft HoloLens and immerse yourself in Maxillofacial surgery visualization with Disior.